You won’t find much more of a classic comfort food dish than a sausage casserole. A dish that you can just throw everything in to, this Turkey Sausage and Mixed Bean Casserole does not disappoint on a cold night. It’s a great way to use up leftovers and it’s like a big hug in a bowl. Easy to make a vegetarian version too! Sausage casserole will always hold a special place in my heart. We grew up on this kind of meal when I was a kid and I always looked forward to coming home from school to it. Granted, the sauce was usually out of a jar and they are the cheap and nasty kind of sausages, but it was still classic comfort food. We still make it often, and it’s a favourite in our own little family now – we just make some healthier changes to it and make everything from scratch (apart from the sausages). You want to go with some really good quality sausages in this recipe, as they are the star of the show after all. We used turkey sausages, but you can use any you like. You can even swap meat sausages for a vegetarian or vegan alternatives. We kept a portion to just 2 sausages per person and then bulked out the dish with beans. 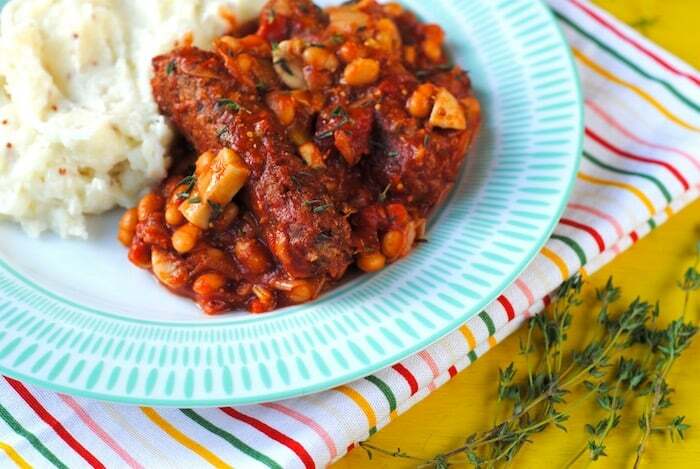 Beans add lots of extra protein and fibre and keep the meat to a minimum too. Just like the sausages, you can use any beans you like. We used canned just to make this meal as simple as possible. 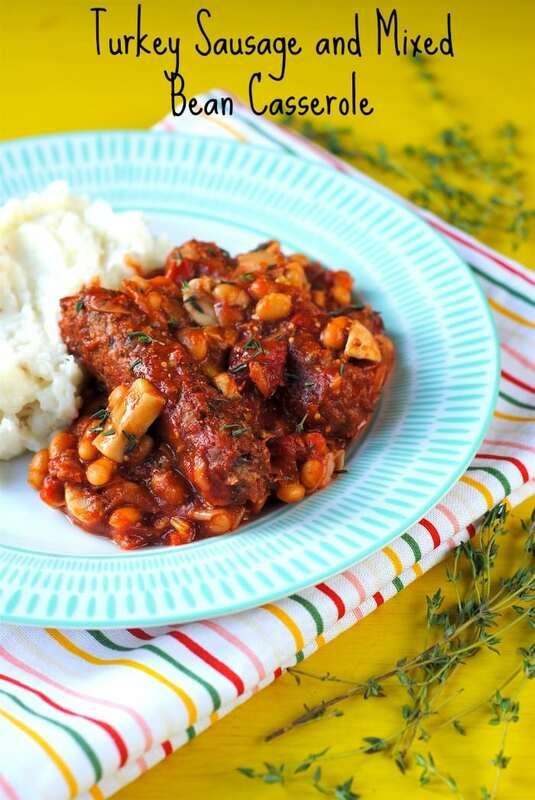 We used turkey sausages to keep this dish lower in fat and leaner and added beans for some extra protein and to bulk the dish out in a budget friendly way. If you’re looking to save some money on your food shopping, then add this meal to your weekly meal plan. Throw in some frozen veg, serve with a side of creamy mashed potatoes and the whole family is happy! You can easily make this recipe in a slow cooker. Just brown the sausages in a pan with the leeks and mushrooms and then transfer in to the slow cooker with the rest of the ingredients and cook on high for 4 hours or on low for 8 hours. 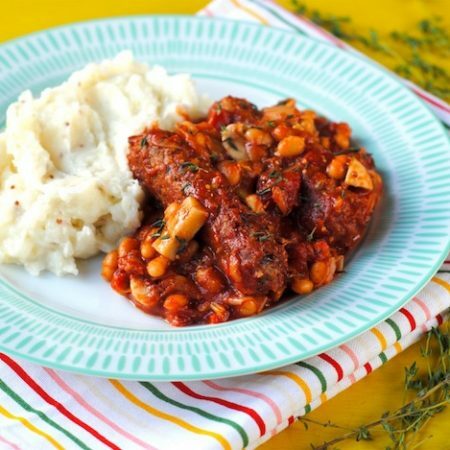 Want some more healthy slow cooker recipes? Check out my book The Healthy Slow Cooker. What To Serve Sausage Casserole With? It really has to be mashed potatoes with sausage casserole – it’s a class. Plus it soaks up all that delicious casserole sauce. But, if you are not a mashed potato fan then there are some alternatives. You could go with some homemade potato wedges, chopped up on a baked potato (this is good for any leftovers) or even on some rice. One: Put the sausage under the grill for 10-12 minutes, turning regularly. Two: While the sausages are cooking, heat a little oil in a pan and add the leeks, mushrooms and garlic and gently cook for 3-4 minutes until softened. Three: Add the tomatoes, drained beans, tomato puree, paprika, mustard powder, thyme and salt and pepper. Stir and simmer for 5 minutes. Stir in the cooked sausages. Four: Transfer to a casserole dish and put in a pre-heated oven at 200C for 15 minutes. You can easily make this dish vegetarian or vegan, but swapping the sausages for a meat-free alternative. If you are using meat sausages, use any kind you like to add a different flavour. If you don’t like woody herbs like thyme, then you could use something more leafy like parsley or even chives. 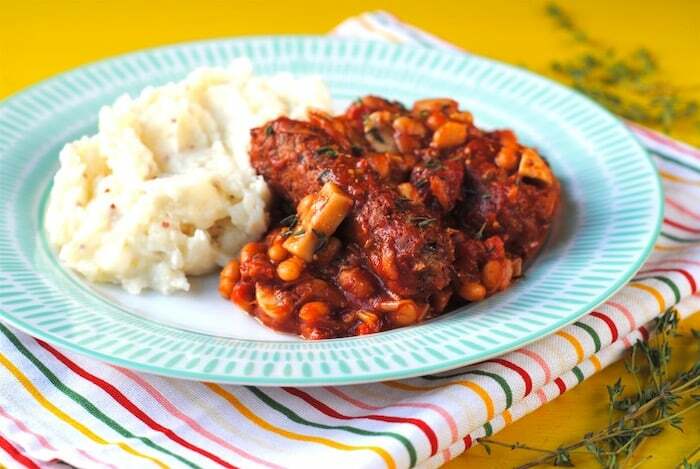 Serve this sausage casserole on creamy mashed potatoes, or with some homemade potato wedges. Add some greens by stirring in some spinach a couple of minutes before serving. We cooked the sausages under the grill to keep it lighter, but you could fry them before the other ingredients. When the dish goes in to the oven, you could sprinkle some cheese on top so it goes a bit crispy. If you’ve tried this casserole, or any other recipe on the blog, then let us know how you got on in the comments below, we love hearing from you! You can also FOLLOW US on FACEBOOK, TWITTER, INSTAGRAM and PINTEREST to see more delicious recipe ideas, behind the scenes shots and also what we are getting up to. 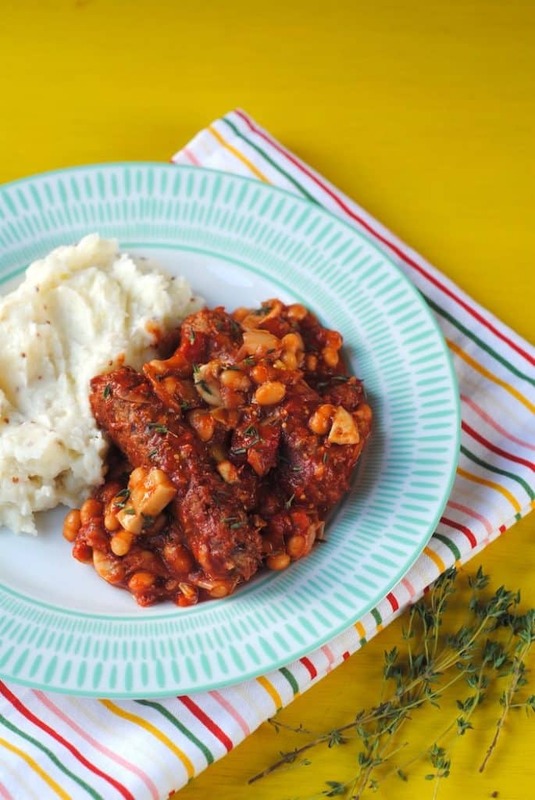 Famed for being a dish that you can just throw everything in to, this Turkey Sausage and Mixed Bean Casserole does not disappoint. It's a great way to use up leftovers and it's like a big hug on a plate! Grill the sausages for 10-12 minutes, turning regularly. While the sausages are coking, heat a little oil in a pan. Add the leeks, mushrooms and garlic. Gently cook for 4 minutes. Add the tomatoes, drained beans, tomato puree, paprika, mustard powder, thyme and salt and pepper. Stir and simmer for 5 minutes. Stir in the cooked sausages. Finally, transfer to a casserole dish and put in the oven at 200°C for 15 minutes. 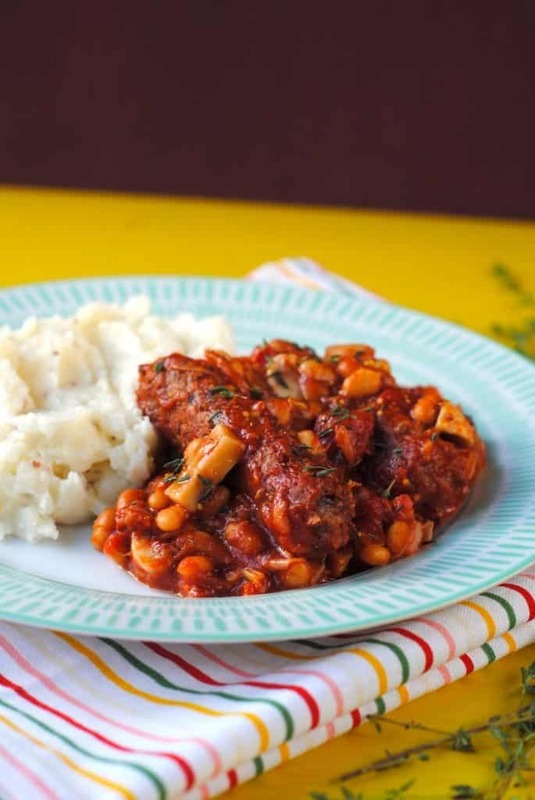 The Hairy Bikers’ take on sausage and beans makes a wonderfully warming and filling dish, and it freezes brilliantly. Your recipes all sound so good. I also like that they are frugal, easy and healthy. It’s hard to find those type of recipes. You have also inspired me to try cook new dishes. 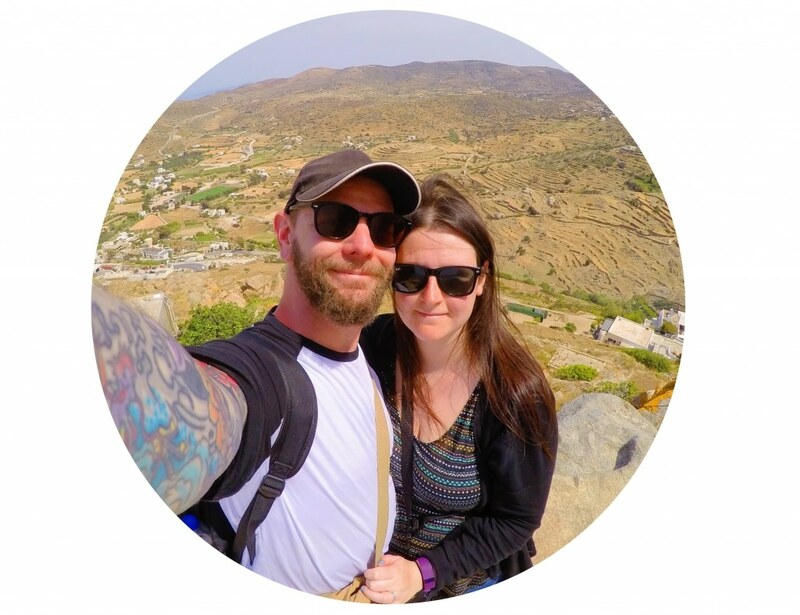 Thanks for all the work you do sharing your recipes and ideas. This recipe sounds great too! Good job! Turkey sausages sounds like a good idea and a nice way to change from the usual dinners. 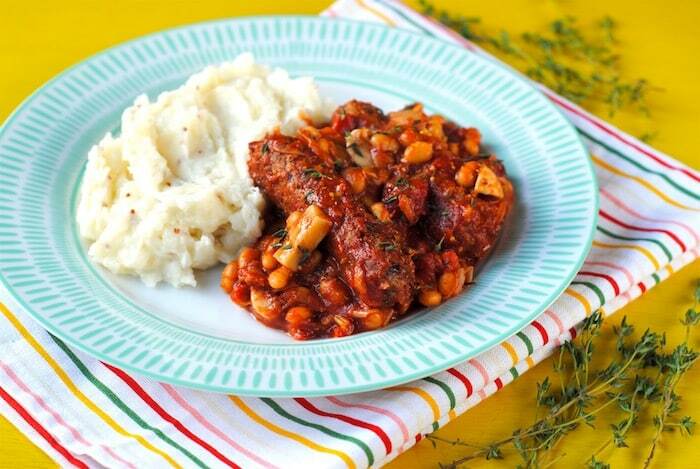 We love a good sausage casserole this sounds extra tasty with the mixed beans!